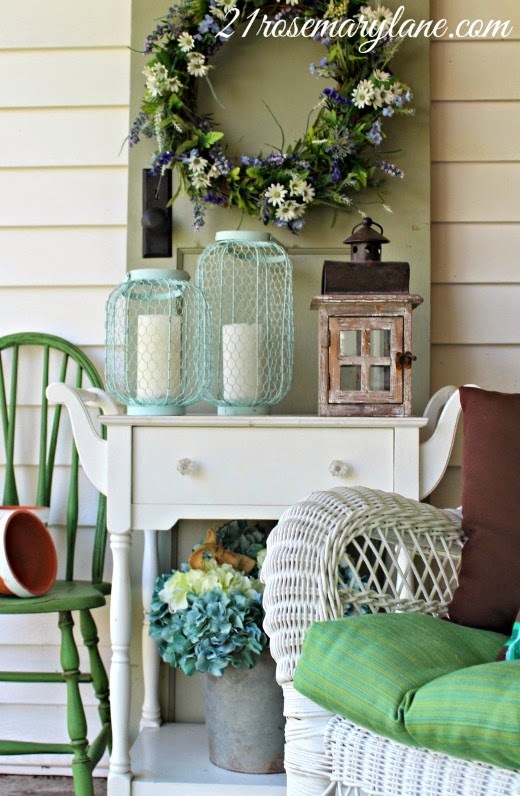 21 Rosemary Lane: A Front Porch to Welcome Spring! 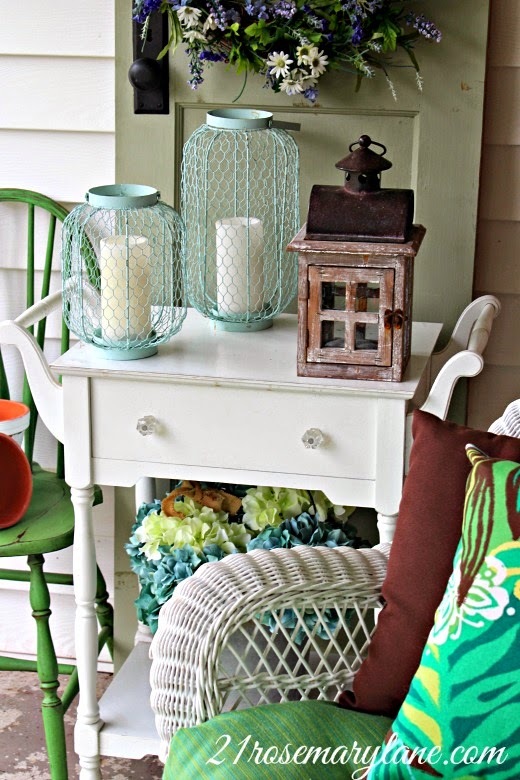 Oh, I am loving the colors you put together on the porch. Lucky you to find free doors and the perfect color on top of that. Your porch looks great, Barbara! I love that door ~ what luck finding free doors! 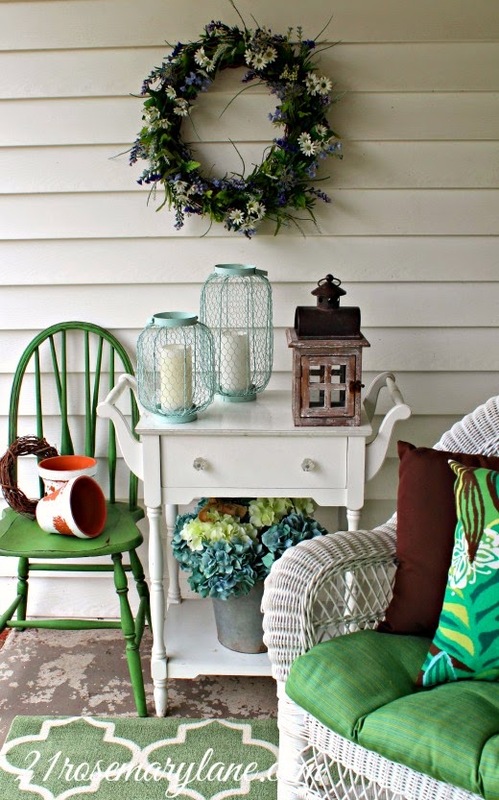 The color suits your porch perfectly. It looks like a great place to sit morning, noon or night! Just read the part about the doors with the free sign to the Mr. Sigh... how lucky! I hope you will headed more south than where I am at in North Central Florida... we will be experiencing stormy weather... rain, thunder on Friday and Saturday! Hoping you will have wonderful sunny weather where you are headed. Your porch is wonderful! Love the colors...everything is so welcoming. Our front porch is tiny so we decorate and enjoy the back. Love the bright cheeerful colors. So pretty and welcoming. Love the look. I've ordered a rug just like yours....in blue. Can't wait to get it and throw it on the porch. Hope it looks half as good as yours. 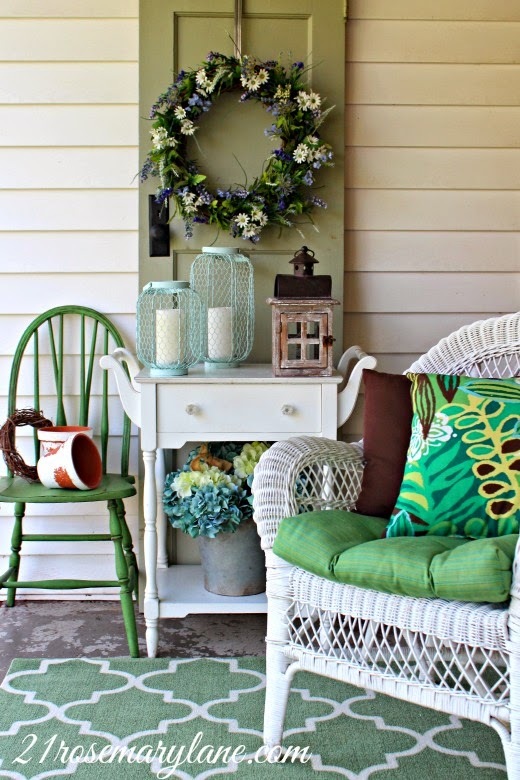 Dear Barbara, What a wonderful, warm and inviting job you did decorating the porch. I wish I was as good at decorating! and deciding colors. Thank you for the inspiration... love your blog! It looks adorable, l love all the greens! Now I want to go shopping! and paint something! and make some pillows!! So fresh and welcoming for guests! 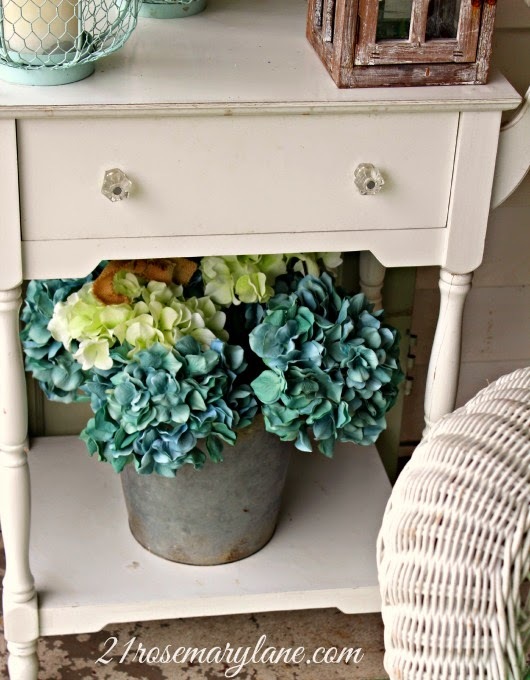 Love the pastel pops of color you added. 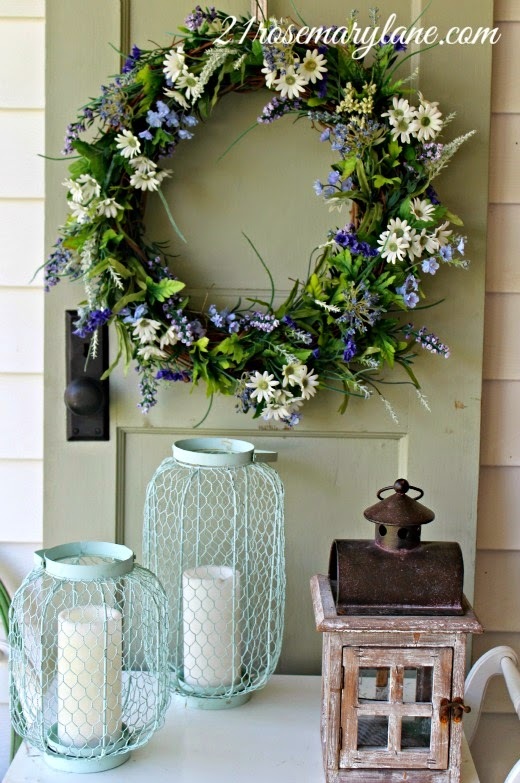 Love the colors you have on your porch...what a beautiful entrance for all your friends. Thanks so much for sharing at NTT. 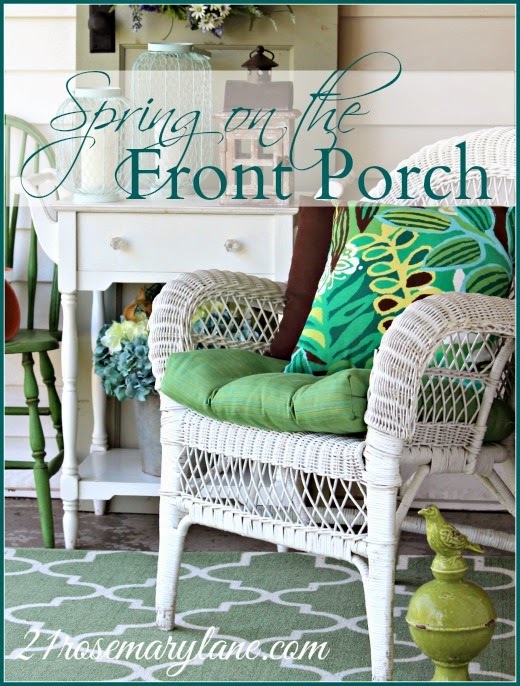 Love all your bright and fun fabrics and colors for your Spring front porch!! 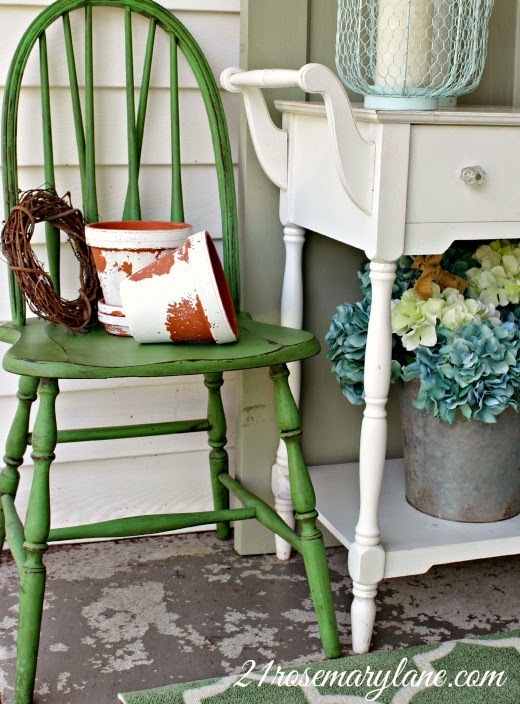 Love the table with the chair,,,I have one like it but I think smaller, I'll have to try it either on my front or back porch! Love the colors too! 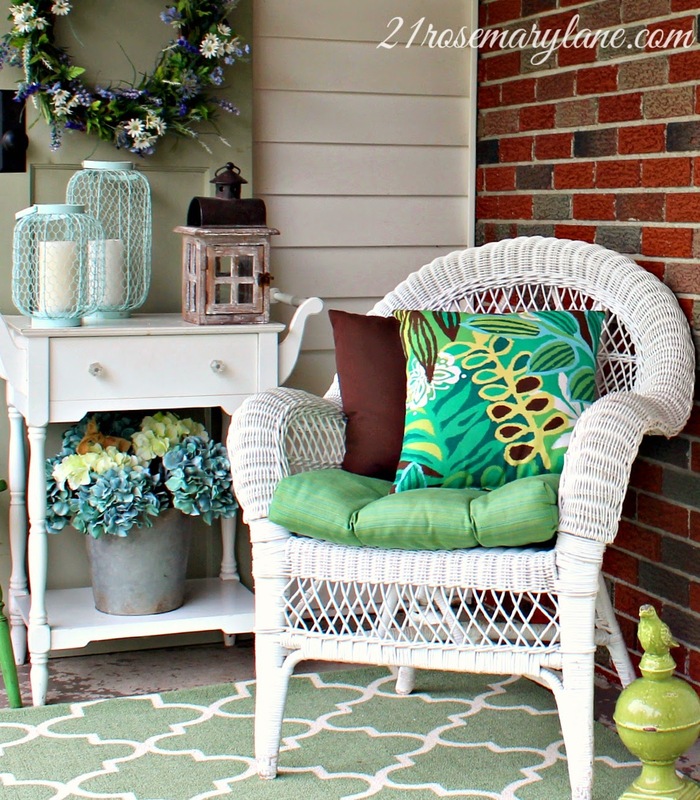 Front porches and back patios are great way for relaxation, family bonding and entertaining. Here I found some inspirational ideas. Thanks for sharing.